In our effort to support novice and veteran English teachers, TEMI has compiled a Teacher Training Library. It has been brought to our attention that many teachers, who are out there “doing it on their own”, are in need of more support or direction. It is our hope that our years of experience and the articles Helene Jarmol Uchida has written over the years will help you bring out the best in your students and enable you to achieve the success in the classroom both you and your students deserve. These are featured articles from ‘Teacher’s Heleper’, a teaching newsletter edited by Helene J. Uchida. A specific aspect of teaching English in Japan is featured in each issue. 9 What is a Classroom? The Japan News is the English language edition of the Yomiuri Shimbun. Helene J. Uchida writes the Primary Advice articles, feature articles of the Language Connection. The articles are included in this library with permission from the publisher. 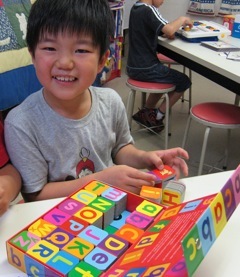 Helene J. Uchida writes featured articles for two sections of the ELT News website: Game Corner and Kid’s World. The articles are indexed here, with links to the ELT News website.